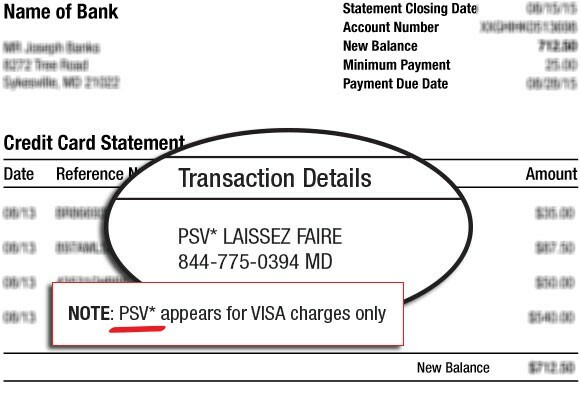 What is PSV*Laissez Faire Letter? …it’s because you have a subscription to the Laissez Faire Letter, a lifestyle newsletter published by Laissez Faire. The Laissez Faire Letter is a monthly newsletter that attracts individuals who want to be in control of their own lives — their money, privacy, health and safety. Each issue provides actionable solutions to lower your tax bill, reclaim your online privacy, receive better health care, and save and grow your wealth. The Laissez Faire Letter includes a four-page monthly feature called Unconventional Wealth, a unique, practical, step-by-step guide on wealth creation. Instead of focusing on fleeting gains, you’ll discover how to build multigenerational wealth in your own lifetime. If you have a billing question or if there is an issue with your order, please contact our customer care team by phone or email using the contact information below. Email customerservice@lfb.org and one of our dedicated customer care representatives will respond to your inquiry as soon as possible. Call our customer care team toll-free at 1-877-453-1177. Our offices are open Monday through Friday, 9 a.m.–5 p.m. ET. What is PSV* Laissez Faire? …it’s because you purchased a product in conjunction with a subscription to a lifestyle newsletter published by Laissez Faire. Laissez Faire is a publisher of lifestyle newsletters aimed at individuals willing to take action to live a more independent and self-reliant life. Laissez Faire’s flagship publication, the Laissez Faire Letter, presents advice from top experts on ways to lower your tax bill, reclaim your online privacy, receive better health care, and save and grow your wealth. The Laissez Faire Letter includes a four-page monthly feature called Unconventional Wealth, a unique, practical, step-by-step guide on wealth creation. Laissez Faire also published Jason Hanson’s Spy & Survival Briefing. As a former CIA officer, Jason’s mission is to provide readers with the knowledge, skills and products to protect themselves and their family in the face of danger, economic turmoil, natural disasters and more. What is PSV*Laissez Faire Books? It’s because you have subscribed Laissez Faire’s exclusive eBook club by the name of Laissez Faire Book Club. The Laissez Faire Book Club is committed to bringing you quality, classic authors, such as Ludwig von Mises and Friedrich August von Hayek. Our eBooks are founded in libertarian ideas, presenting theories of economics, politics, and society in a new light. Customers who subscribe to the Laissez Faire Book Club receive two brand new eBooks each month, as well as access to all past eBooks that have been released thus far. They also receive an Executive Summary of each title that we release, so that they can get an idea of what each book is about. If you’re having an issue with your subscription or have a question about the billing for Laissez Faire Book Club, please contact our customer service department. We’d be happy to help you out! You can contact customer service by phone or email using the contact information below. Email us at customerservice@lfb.org and one of our Customer Service Representatives will get back to you as soon as possible. Call our Customer Service team toll-free at 1-877-453-1177. International customers can contact us at 443-268-0474. What is PSV*Laissez Faire Prime? It’s because you have subscribed to and are a member of Laissez Faire’s exclusive lifetime members by the name of Laissez Faire Prime. In your Laissez Faire Prime lifetime membership, you receive all three of Laissez Faire’s advisory publications: Laissez Faire Letter, Unconventional Wealth, and Natural Health Solutions. With each subscription you receive access for life and benefits that only lifetime members receive such as special reports that only lifetime members have access to and special lifetime live events that only lifetime members are able to attend. If you’re having an issue with your subscription or have a question about the billing for Laissez Faire Letter, please contact our customer service department. We’d be happy to help you out! You can contact customer service by phone or email using the contact information below. It’s because you have subscribed to one of Lassiez Faire’ lifestyle newsletters by the name of Unconventional Wealth. Unconventional Wealth is unlike anything you’ve seen in the financial research industry. It’s not just a stock picking or trading service. And it’s not your typical investment research newsletter. Instead it’s unique, practical, step-by-step, real-time advice on wealth creation. Each month, you’ll receive a private letter highlighting a novel way to grow your wealth. Instead of focusing on grasping at teensy gains, you’ll see how to build multigenerational wealth in your lifetime. We’ll walk you through all the ways wealthy people got where they are. And it’s not by buying and selling stocks all day. Editor Ryan Cole’s unconventional but sound thinking has been featured on The Motley Fool, Seeking Alpha, Investment U. The Entrepreneur’s Club and a host of other publications. He was a senior editor with Contrarian Profits, heading up the Small Cap Insider newsletter. He is now the editor of Laissez Faire’s Unconventional Wealth. If you’re having an issue with your subscription or have a question about the billing for Unconventional Wealth, please contact our customer service department. We’d be happy to help you out! You can contact customer service by phone or email using the contact information below. Will I receive printed copies of the Laissez Faire Letter, or is it all online? The Laissez Faire Letter is fulfilled through both mail and email. During the first week of each month, you can expect a new issue to be emailed out. Printed copies of those issues are generally mailed out to subscribers about two weeks later. You will be notified through mail and email one month before your subscription automatically renews. If no changes are made to your account, your credit card will be charged one month before your current subscription is set to expire so that you won’t miss any buy or sell alerts that could affect your personal portfolio. Yes, all subscriptions can be placed on automatic renewal with a valid credit card. Auto-renewal rates are typically discounted from normal subscription rates. How often can I expect to get information from my Laissez Faire Letter subscription? The Laissez Faire Letter releases a new issue the first week of each month. You can also expect to receive a weekly email update each Wednesday, containing information on current events as well as actionable advice on the topics we find most important. Laissez Faire Book Club members can expect to receive new content every other Thursday. These emails will include an Executive Summary as well as a new eBook to download. The purpose of the Executive Summary is to give readers a better idea of what each title is about, as well as outlining the reasons we chose the book to publish.